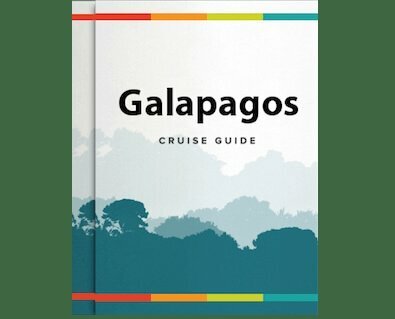 The Galapagos are a group of around 20 islands located far off the shore of Ecuador and home to an astonishingly beautiful and diverse collection of landscapes, flora and wildlife like nowhere else on Earth. Cruising the islands, you’ll immediately be struck by just how unique each one of them is. From lush dense forests and mature mountainous landscapes of some, through to steaming volcanic peaks and otherworldly lava fields found on others. But just how did these isolated islands come to be? And what explains the captivating geological and natural diversity that we see today? The Galapagos islands are situated on the Nazca tectonic plate which is gradually shifting towards the South American plate at the rate of around 5 cm per year. As the plates move and collide, the resulting friction creates weak spots where mantle plumes emerge from below to melt parts of the Earth’s crust. In some cases, lava reaches the surface, creating volcanoes and continuous eruptions that eventually form islands above the ocean’s surface. Its position on the border between two plates explains the long and turbulent volcanic history of the Galapagos. In fact, the region has been subject to around 50 eruptions over the last two centuries alone. Whilst these eruptions can all too easily threaten the fragile flora and fauna of the islands, this is how new land and eventually entire islands are continually created over millennia. Such high levels of volcanic activity, involving the repeated layering and lifting of the Earth’s surface, as created islands rising above the Pacific ocean. All of the Galapagos islands consist of one single shield-type volcano, with the exception of the largest island Isabela, which was formed by no less than six volcanoes merging together. Most have a distinctive conical shape, along with steep slopes rising dramatically from sea level. So tectonic plate activity explains the volcanism and island formation, but how was an entire archipelago created, and why in such a distinctive pattern? Not all tectonic plate divides are characterised by such intense volcanic activity as is found in the Galapagos. This is because the Galapagos islands are located above “hotspots” which, as the name suggests, are particularly hot areas of the Earth’s mantle that create rising thermal plumes. These plumes easily burn and melt through the Earth’s crust, creating magma that erupts to the surface. As the name also implies, these “hotspots” are stationary. But because the tectonic plates they are situated beneath are continually moving - however slowly - islands arise in different spots on the Earth’s surface, creating the false impression that it is the hotspots themselves that are moving. The combination of static hot spots beneath shifting plates explains how an entire archipelago was created, as well as the distinctive landscapes and unique ecology of each island. The layout of the islands reflects the speed and direction of the tectonic plate movement. The plates are moving in an east-southeast direction like a conveyor belt, so the more easterly islands were formed first and are millions of years older than the western islands. The Galapagos hot spot is located in the north-western part of the archipelago. It is currently beneath Fernandina and Isabela islands, which were both formed less than a million years ago and are subject to recent volcanic activity. Eastern islands (including Genovesa, Floreana, San Cristobal and Espanola) have had more time to develop vegetation and are therefore much more verdant than those to the west (such as Isabela, Santiago and Bartolome) that are rockier, barer and more otherworldly by comparison. The more easterly islands are also smaller and some have even been partially or completely lost under the ocean through erosion by the sea. Meanwhile, the younger islands to the West are larger because they have witnessed volcanic eruptions much more recently, including up to the present day. The stunning Galapagos are not only well worth visiting for their world-famous flora and fauna. The formation and evolution of these islands over millions of years is a fascinating microcosm of the Earth’s internal geological processes, as well as a testament to the awe-inspiring power and beauty that results. Read our previous blog post to find out Who Discovered the Galapagos Islands. For more information about booking a Galapagos Tour, contact us or call 1-888-215-3555.